If you’re planning on going to see Denis Villeneuve’s Blade Runner sequel in theaters, you’ll probably want to clear your calendar that day. Turns out Blade Runner 2049 is going to be a big blockbuster in more ways than one: The film clocks in at two hours and 32 minutes, per Variety, and that doesn’t even count the 11 minutes for credits. Ridley Scott’s original 1982 film was 35 minutes shorter at a relatively brisk one hour and 57 minutes. Arrival helmer Villeneuve’s film, set in 2049 during a time of replicant prohibition, takes place three decades after Scott’s 2019-set original, with Harrison Ford reprising his iconic role as “blade runner” Rick Deckard. 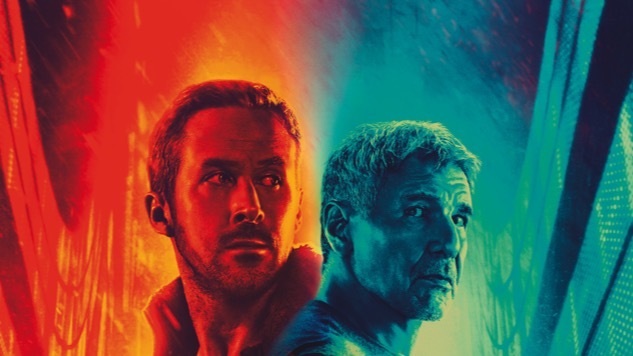 Ryan Gosling stars alongside Ford as Officer K, a young LAPD blade runner who seeks out Deckard for help with an investigation of immense importance. The film also stars Jared Leto, Robin Wright, Dave Bautista, Ana de Armas, MacKenzie Davis, Lenny James, Sylvia Hoeks, Carla Juri and Barkhad Abdi. Hampton Fancher (Blade Runner) and Michael Green (American Gods) penned the script. Earlier today, Warner Bros. released a chilling short titled “2036: Nexus Dawn,” a prologue of sorts that focuses primarily on Leto’s replicant inventor villain, Niander Wallace. Directed by Luke Scott and set in 2036, the short film takes place in between Blade Runner and Blade Runner 2049, providing some critical connective tissue. Judging by how much passion and imagination Villeneuve has clearly dedicated to his contribution to the Blade Runner canon, it looks to be a world worth spending two and a half hours in, bathroom breaks be damned. Blade Runner 2049 is due out on Oct. 6. Catch the explosive latest trailer for the film below.